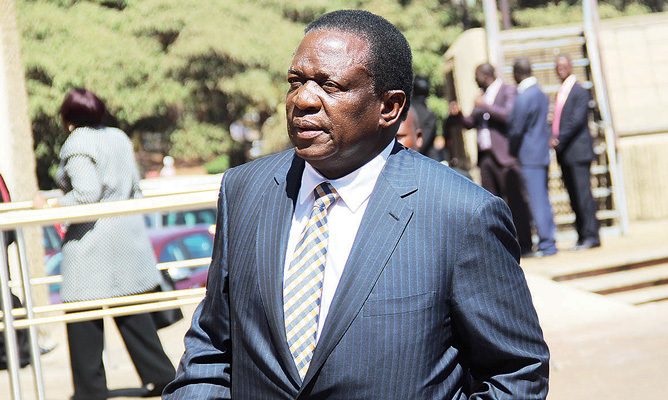 President Mnangagwa's much publicized trip tom five nations maybe a futile exercise after it has emerged that one of the countries he is visiting Belarus is sinking in bilateral debt it has with Russia. So bad is the situation that even the neighbouring Russia is refusing to assist Belarus. In a Tweet, the Prime Minister of Russian Federation Dmitry Medvedev‏ said,"The Government is using various instruments to prevent unjustified fuel price hikes in Russia. But we never promised to make up for other countries' revenue shortfalls, even such close neighbours as Belarus." In September last year Chief of Presidential Affairs of Belarus General Colonel Viktor presented President Mnangagwa with a birthday gift of a sword inscribed his name and his popular slogan "Pasi neMhandu." The sword also had drawings of a lion on both sides, resembling President Mnangagwa's Shumba totem. According to the Russian Prime Minister Moscow is lending massive credit support to Belarus while it has no access to the Western financial markets, and Minsk should appreciate it. The loans provided total to $6.5 billion excluding those for the construction of a nuclear power plant in Astravets, he stated. In his opinion, Russia is helping Belarus at the expense of its own economy. "We do not demand the back of these loans, we may extend their terms at the request of our partners when. I would stress once again – the financial markets of Western countries remain closed for you," Medvedev added. At the end of 2018, the Belarusian-Russian relations significantly deteriorated. In late December there were some meetings of Alyaksandr Lukashenka and Vladimir Putin. The Russian leader pressed for ‘further integration' while his Belarusian counterpart insisted on reducing gas prices and getting compensation for the tax maneuver. The talks seem to have ended in deadlock. With this background it may be impossible to see President Mnangagwa coming with anything from his Eastern Europe trip.